If you’ve ever broken down on the side of the road like I did or taken your car to a mechanic, you’ve probably met an ISTP personality type. You’ll find ISTPs doing all kinds of work that calls for hands-on problem solving. They love to fix unexpected mechanical problems. But there’s more to these unique introverts. If you’re trying to spot an ISTP, look for these seven unmistakable signs. An ISTP’s greatest strength is her knowledge of a system, all its parts, and how they work together. She can, for example, understand a car engine better than most personality types because she knows how the electrical system, transmission, and brakes interact. When my other vehicle’s electrical system was failing, my ISTP friend diagnosed a probable cause without even looking under the hood of my car. We went outside to examine the engine, and he showed me how the cables and electrical box worked, as well as what typically goes wrong with electrical systems in cars like mine. You’ll also find tech-loving ISTPs working on computers. They’re born troubleshooters who get a kick out of diagnosing and repairing faulty electronic systems. But because ISTPs are practical, here-and-now people, they generally prefer to maintain pre-existing computer systems rather than design new ones. ISTPs can master almost any tool or instrument. As a result, you will find ISTP surgeons, EMTs, firefighters, pilots, musicians, mechanics, athletes, carpenters, craftsmen, and computer technicians. They excel in any job that lets them employ their keen senses and impressive hand-eye coordination. One of my favorite musicians is Mark Knopfler of Dire Straits. His fingerpicking and improvisation in Sultans of Swing make professional guitarists drool with envy. Michael Jordan is another famous ISTP. His power, agility, and finesse made him one of the greatest (if not the greatest) basketball players of all time. My ISTP cousin flips houses for a living. When he renovates a property, he encounters all kinds of unexpected problems, and he has to figure out how to fix them on the fly. The other day, he had to squeeze a vanity into a bathroom. It didn’t look like it would fit at first, but he was able to engineer a custom solution to get it in place. For him, working on the project was a rush. I know another ISTP who disassembles and reassembles souped up truck engines without instruction manuals. As he takes an engine apart, he snaps pictures of it with his cell phone, then carefully studies each one when he puts it back together. Though he’s mostly self-taught, he’s started to earn a lot of money for his work. It helps that he’s a perfectionist who doesn’t mind laboring ten hours straight. ISTPs like to have the freedom to do things their way. They hate working for bosses who force them to follow pointless rules and inefficient systems just because it’s the way they’ve always done things. ISTPs are different than ISTJs, who enjoy following established rules, carrying out detailed instructions, and working a steady job. They prefer to work on their own terms and control their hours and workplaces. ISTPs’ drive for independence motivates many of them to start their own businesses, which tend to be sole proprietorships since they don’t enjoy managing other people. My ISTP neighbor, for example, fixes RV windows for a living. He built his house on top of his shop, and he apparently does well for himself, judging from the nearly constant stream of Airstreams, Fleetwoods, and Jaycos parked in his driveway. Something else you might notice about ISTPs is their refined tastes. To start, their tastes influence the equipment they buy. 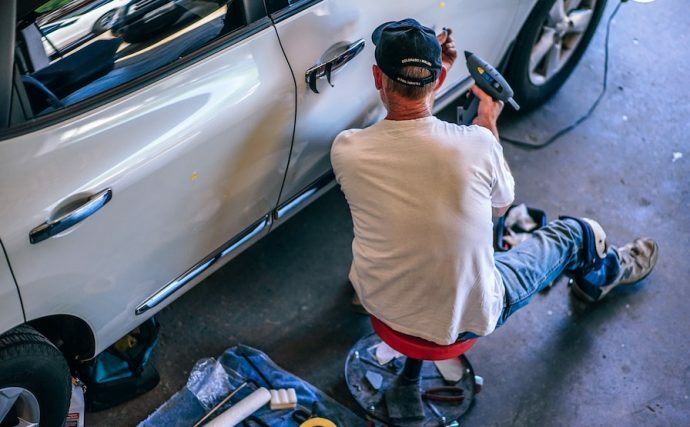 ISTP mechanics outfit their garages with the latest pneumatic drills and power wrenches, and carpenters make sure they get the best chisels, sanders, and lathes for the job. ISTPs also enjoy fast cars, expensive meals, and exotic getaways. One of my ISTP cousins has a new BMW, and another owns a military grade transport vehicle. Under stress, ISTPs can become workaholics. They’ll get lost in a project and struggle to draw boundaries between work and family life. They may also insist that others leave them alone and give them space. Almost every ISTP I know enjoys working long hours and has wrestled with work-life balance at some point. Deep down inside, many ISTPs enjoy helping people. They care about their communities and want to give back, which they usually do via hands-on service opportunities. And when their life mixes periods of intense, spontaneous labor with periods of downtime, ISTPs are especially happy. Many roadside mechanics, firefighters, and EMTs are ISTPs. These jobs employ their greatest talents and require a fast response to unexpected problems. The next time you’re waiting for a carpenter, computer technician, or tow truck operator, be on the lookout for an ISTP.